According to the Stress Management Center and Phobia Institute in Ashville, NC an estimated 17 to 21 million people in the United States are effected by Paraskevidekatriaphobia. What is Paraskevidekatriaphobia? 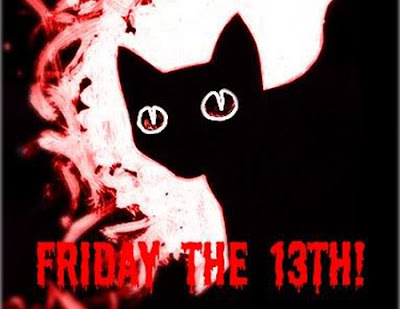 The superstition that Friday the 13th brings bad luck. Some people are so paralyzed by fear that they avoid their normal routines in doing business, taking flights or even getting out of bed. Paraskevidekatriaphobia is derived from the concatenation of the Greek words Paraskevi, meaning Friday, and Dekatreis meaning Friday. It is estimated that $800 or $900 Million is lost in business on this day. The Dutch Centre for Insurance Statistics on June 12, 2008 stated that "fewer accidents and reports of fire and theft occur when the 13th of the month falls on a Friday the 13th than on other Fridays because people are preventatively more careful or just stay home". There are many Natural Events that occured on Friday the 13th. 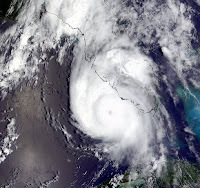 Hurricane Charley made landfall in south Florida on Friday, August 13, 2004. The Friday the 13th Storm struck Buffalo, New york on Friday, October 13, 2006. The Asteroid of 2004 NM4 made its close encounter with earth on Friday, April, 13, 2009. Keep your eyes peeled for BLACK CATS. Stay out from under LADDERS. Hey Walt Just updated Life with Myrna Rae with my new book that is out through publishamerica. "Beauty Shop Burnout Check it out let me know what you think.. Myrna7768@yahoo.com. Congrats on the book. I was unable to bring up Myrna7768@yahoo.com?